How are Ski Boots Sized? What Size Ski Boots do I need? How to put Ski Boots on correctly? Finding a new pair of the best ski boots to take with you on your skiing adventures can be a hard thing to do. Ski boots are probably the most important pieces of ski gear that you could ask for: you will be spending dozens of hours in these shoes and your feet will be on the ground all the time, and that’s why it’s vital that you pick a suitable pair of boots that are comfy and fit you perfectly. It’s also important to have a well-fitted pair of shoes to avoid any accidents, for example if you have too much or too little room at the top, your foot can end up sliding and causing havoc. WAIT! Before you go further, don’t neglect the requirement for suitable snowboard bindings here. If you are confused about which all-mountain ski boots you should buy or what features alpine ski boots have to offer, we have an FAQ section to help you out with getting to know the general product better. We also have 10 products that we recommend wholeheartedly to skiers looking for a solid pair of ski boots for the new season! Are you looking for Snowboard boots? Click here instead. The Nordica Cruise ski shoes are a product that already attracts attention thanks to their design. They look very modern and have a double-color themed design. They come in a series of black and red variations and that should fit just about anyone that likes a more out-going piece of gear. With a soft flex rating of 110, you can be sure that these ski shoes will offer you only the best control over your skiing sessions. Many people who have wider feet praise these boots for fitting perfectly thanks to the heat moldable shells performance liner and the ample forefoot space. You will be able to choose from four sizes, and the soft flex is perfect for anyone that wants to have a good, solid boot but also likes to be a bit more aggressive with their skiing from time to time. The adjustable cuff common to Nordica’s product is fantastic thanks to the adjustment it provides between having a neutral or more aggressive stance. There are also 4 aluminum buckles that are heavy-duty and very durable when put under pressure. These ski shoes also have a natural foot stance, which means that the skier can ride down the slopes in their common, standing position, which is the best option for the times when you feel like cruising. Why We Liked It – Nordic’s ski boots are perfect for anyone that has a hard time finding a pair that fit well to their particular foot size. The heat moldable liner and adjustable cuff should provide you with the best boot features to help you make your feet nice and cozy. Whether you like cruising or more aggressive skiing, these shoes are the best for any occasion! The Nordica Speedmachine is a great alternative you can also look into. These Scarpa Freedom SL Freeride ski boots are a fantastic choice for skiers looking to spend a bit more money. These shoes have a patented carbon core construction that is made to improve the stiffness within your boots as well as improved power transfers. All of this is included in the ski shoes without adding any redundant materials that would make the design bulkier and unpleasant to the touch. The Ride Power Block gives you the utmost power when going downhill and a frictionless range of motion when you are going uphill, too. These ski shoes have a design that improves both power and strength when skiing and also power transfers that flawlessly to the skis. They are also perfect for any terrain you decide to test them out on. Even though these ski boots naturally cost 700$-800$, you can easily get them at winter discounts for 300$! It’s well worth it, too. They function like a good, durable alpine boot but also are very light and easy to walk around in. If you are spending some time in the backcountry, these ski shoes will be perfect for you, and if you are going to be spending weeks on the big mountains, they will accompany you there too and perform flawlessly. Why We Liked It – SCARPA’s ski boots are definitely a solid product and can be relied on in any and all conditions. The design is slim and avoids any bulk and you can adjust them by playing around with the spoiler. For skiers looking for a pair of ski shoes that you can take both to the big mountains and the backcountry, these are the best choice! The Dalbello Aerro 60 alpine ski boots come with a year of warranty and are meant for beginner and intermediate riders. You will be able to use them on all sorts of mountains and they have a good, solid structure thanks to the four buckle construction. Having been made in 2016, they are one of the newest products on the market and have been tailor made for the needs of today’s skiers. They have a flex number of 60 and even though usually they cost around 300$, you can easily get them at half-price during sales. For skiers looking for a lightweight, comfortable and stylish ski shoes that will be the convenience you need when skiing, these are the best option. With a 65 soft flex rating; these ski boots are great for anyone that is looking to improve their skiing performance. You will be comfortable and warm all day with these shoes and the 105mm wide rubber soles are perfect for wide feet and are the widest kind of boot that Dalbello makes. The rockered boot toe box will make walking very easy and stable and the rolling motion of the boot sole will help you achieve a natural walking stance that is not common with many other ski shoes. Why We Liked It – The Dalbello Aerro 60 ski boots are perfect for anyone that is looking for a long-lasting product. The toes and heels are replaceable, therefore you will be able to extend the life of your ski shoes if any of these great boot features will get worn-out. This is definitely the best ski gear for anyone that is looking for a durable boot that will accompany you through all of your skiing adventures. As an alternative, the Dalbello Panterra backcountry boots are a popular choice. Rossignols alltrack ski boots have the best build for more intermediate and expert level skiers, due to the very stiff build, it’s easier for more experienced or advanced skiers to know how to go about using these types of shoes. If you have a bigger foot and need to have a stiff flex, these ski shoes are the best competitors out there. With a number of 120 on the flex index, you will be able to have full control over where your skis go and how fast they go, all will be reliant on how well you control the pressure on your lower legs, which is why these ski shoes are recommended for more professional riders. The inside boot liners anatomically correct and won’t cause you any discomfort since it will fit flawlessly to the shape of your foot; this will help reduce the pressure that is usually put around the forefoot. A self-shaping tongue will quickly take action in adapting to the front of your foot and will mold accordingly within just a few uses on the slopes. The slight ramp angle that is given to you because of the NSS (Neutral Stance Sensor) technology will allow you to have better control over your skis and improve your balance. You will not be fatigued anytime soon when putting these ski shoes on! Why We Liked It – Rossignol is one of the first brands that have taken it upon themselves to provide its customers with ski boots that fit even the widest of feet. Many men or women that have wider feet often feel a bit left out when buying new ski shoes and it’s no wonder, since there is rarely a good fit for them! Rossignol however took their design a step-further, and made it fit even the widest of feet! Atomic is a brand that has made the perfect ski shoes for any budding skier or beginner rider. If you have been used to renting perform ski boots all year long and are finally yearning to have a pair of your own, shiny ski shoes that will fit your skiing level, these Atomic Hawx 90 Skiing Boots are the best choice. The Atomic Hawx have a medium-stiff rating, which is a perfect level for beginners since they can have a lot of flexible control over what is going on under their feet. If you are tired of damp and dirty rental ski shoes, the Atomic hawx prime ski boots are perfect for anyone that wants affordable shoes to take on skiing trips. The relaxed 100mm forefoot width will help you have a lot of space within the atomic hawx ultra 90 skiing boots, and they fit a lot of average foot sizes. The Memory Fit technology allows the boot to be heat molded to have a custom fit to your foot and your foot only. The medium flex of 90 is best for intermediate skiers too that want a balance of comfort and power when they’re skiing. The Dynashape foam around the ankle is the best material to help avoid any nasty impact bumps that usually hurt more than scrapes and scratches ever could! Why We Liked It – If you have been skiing for a long time but were only able to rent ski shoes up to now, this is the perfect pair for anyone that is looking to have a pair of ski shoes of their own. The Atomic Hawx 90’s have many great features, like the memory-fit foam and the rubber sole flex, both of which are the best options for comfortable riding, and that in turn helps you achieve better balance. Here we have yet another one of Scarpa’s products, and this one are a bit more expensive than the ski shoes we listed above. They are however very well insulated and with a bit of practice, you will be able to buckle them up within seconds. The easy entry allows you to quickly slip in your foot and within seconds you will be able to get on the slopes and start riding. The triple-density design will help you maintain your foot laterally to help you achieve only the best stability. 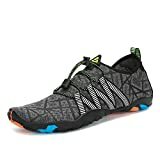 Despite of the price of these ski shoes, they still manage to be in the top 15 of its kind on Amazon. Not only does it have fantastic craftsmanship, but it’s worth its price too, which is something that can’t be said about a lot of other pairs of expensive boots! These ski shoes are stiff enough to work well with skis but also soft enough to help your foot feel comfy and well insulated on the inside. They are light and low profile and will not have you drag your feet over the thick, hard snow. The stiffness here is the best choice for anyone that likes to ski on blue and black tracks. Why We Liked It – Scarpa’s products are the best for customers that are looking for reliable and durable ski boots that will last for years. The price is great for all the features that you get with this pair of ski shoes. The Scarpa T2 Eco’s are made from quality material and are stiff enough to help you slide down blue and black tracks as you please, making them some of the best pairs of shoes for intermediate riders. The slick red and black design of the Lange downhill ski boot is definitely something to marvel over. They have large aluminum buckles that are easy to adjust and grab thanks to their size. These ski shoes are perfect for intermediate riders and have a good, 102mm fit that will give the best performance for those skiers that have wider foot shapes than the average person. Many customers praise these boots for being great in all kinds of conditions and they are a perfect fit for anyone that has wider feet. This downhill ski boot has combined ski-hike versatility and the superior and legendary downhill performance that Lange is known for. You will be able to ride downhill with good precision and stability and your balance won’t be put off for a second thanks to the flexible rubber soles. The lightweight thermal boot liners are reinforced in the key areas, like the ankles, heels, forefoot etc. and they will give your foot a very warm and cozy surrounding during even the coldest winter days. Keep your legs warm with the top ski pants. The toe and heel pads can be easily replaced and adjusted to the person’s foot specifically, they can be removed when they are worn out and you can easily slip in a new pad and keep using your Lange ski shoes as if they were brand new. Why We Liked It – Lange’s ski boots are very well made and have one of the best affordable prices, this makes them one of the most sought after products on the market. The pads can be easily taken out and you can put new ones right back in to help extend the lifeline of your ski shoes! This is the best option to go for if you are looking for shoes that can last for many seasons. As an alternative, you could check out the lange rx backcountry skiing boots. Salomon has provided us with very high-class quality boots that will boost your confidence level up. And help you achieve more than you can. The intuitive and flexing tongue will mold and combine with the front of your shin to give you the best, comfiest cushion for when you will be leaning over and skiing downhill. The comfy, heat moldable inner liner is also perfect for anyone that likes to have a custom rubber sole. This will keep you cozy every time you slip your foot in and you will know that your ski shoes customized themselves to be fit just for you. This boot can accommodate both average and wide feet thanks to the 100-106mm foot rubber sole, this is why many customers choose to go with this shoe, it’s perfect and can adapt to a wide range of foot types for different types of skiing. The endofit shell construction of the tongue helps to have a wider opening to help you slip in your foot easier instead of wrestling with your boots like many people seem to do. Whether you will be putting your ski shoes on or taking your allmountain boots off, it will be easy and flawless. The stiff flex pattern is designed to give you ski shoes that will be able to be used while skiing at high-speeds. Why We Liked It – These Salomon alpine ski boots are the best option for anyone that is looking for an expert level performance when skiing. Most of the liners and ski boot materials here are heat moldable and will adjust to your foot, shin etc. This gives a very customized product that will be able to fit you perfectly. It’s truly one of the best pairs of ski boots that you can get out on the market today. Try the Salomon Xpro as an alternative. The Rossignol ski boots are perfect for beginner to intermediate skiers, they have a forefoot that is perfect for a medium to wide foot. The 104mm sole is the widest sole that Rossignols alltrack has to offer with their ski shoes and this will keep you comfy, supported and balanced. 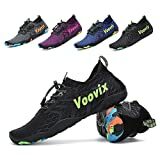 These shoes are more on the soft side of the scale and that makes them the best shoes for beginners since they work well on easier trails, they are also perfect for lightweight intermediate skiers. The PU liner will give you a lot of insulation and will keep your feet and shins warm and cozy during even the coldest of skiing days. Protect your face with a ski mask balaclava. There are 3 buckles here and you will get a full one-year warranty upon purchase of these shoes. They are versatile and are perfect for any kinds of mountain terrains, especially for intermediate skiers that have a lighter body weight than the average person. The instep height is standard and the calf volume is high which means that it’s perfect for shorter, thicker legs. These boots also have a flex that is perfect for people that want to transition for a beginner level to an intermediate, it’s easy to progress with these ski shoes since they are not too aggressive and they won’t take you past your comfort point. Why We Liked It – These Rossignols alltrack ski shoes are the best choice for anyone that is tired of renting out a ski resort boot or shoe and want to have a pair of their own. They are the best option for anyone that is looking forward to take their skiing game a bit higher and for people that want to progress faster with new gear. Salomon’s ski boots are perfect for intermediate entry skiers that are looking forward to having a new adventure in a new pair of shoes. This boot was made with mainly comfort in mind, and all of the customers that reviewed this product can vouch for the coziness that these ski shoes provide you when on the slopes. They are extremely easy to put on and take off and you won’t have to be wrestling with them every time you want to put them on. This may seem like a very insignificant feature, but if you are tired after a full day of skiing or when you are ready to get out onto the slopes, the last things you want to do is have bulky shoes put a damper on your excitement! They have a 60 flex rating which means they are perfect for budding skiers that need a forgiving boot that will keep them going throughout t he day. The 104mm sole allows for a roomy and cozy boot that will help keep you in balance even during the most treacherous of times. The toe and heel pads can be easily replaced so that you can extend the life of your shoes or if you simply want to customize them to suit you better. Why We Liked It – Salomon’s footwear is the best option for anyone that is looking to have a pair of ski shoes of their own. They are a forgiving pair and the tongue pool will help you easily put on and pull off the shoes within seconds without fussing around with the bulky exterior. This is one of the best products if you are looking for a pair of boots that you can call your own! Read on for our exclusive Ski Boot gear guide! Ski shoes are the most essential component of a skier’s winter gear, without a good sized and well-fitting shoe it’s doubtful that you will go anywhere! Since you will be spending the majority of your time up and on your feet, it’s good to invest in shoes that will give you the comfort, warmth and coziness that you deserve. With that said, many brands have different sizing systems, and it can be very difficult to choose suitable shoes for you if you are not only buying new shoes, but new shoes from a new brand. Sizing charts can vary greatly and many people have trouble choosing a suitable fitting boot, especially when shopping online. Our first piece of buying advice would be to go to the nearest outdoor store and check the ski shoes that they provide to their customers and you can try a few pairs on, even if you are not going to buy them. That way you can get a feel of how the ski shoes fit and what brands offer what kind of comfort; it’s true that online stores have a much wider selection of designs and products overall, but real stores can give you a lot of reassurance when looking at sizing, and there is the staff there to help you, too! They can help give you expert advice on which shoes could best fit your foot width and foot length, especially since people with wider feet can sometimes have a harder time finding good, suitable boots, and there are special brands that cater their products for exactly those kinds of people, providing the best and ultimate comfort for everyone. It’s always good to flip the shoe upside down and put your heel to the boot’s heel and the toes to match the toe box area of the boot. This can also give you a general idea of what size of boot you would need, since ski shoes are measured by a system called the Mondo point, which means that you need to measure the length of your foot in centimeters, and this way you will be able to match this to the cm length of the boot. To find your Mondo point sizing, place your foot against a wall or any other flat surface and measure with a tape the cm length from the heel to the toe. It’s recommended to wear very thin ski socks when putting on skiing shoes; although thick ski socks may provide more insulation, the liner inside your boot should already do that for you. If you are intending to go to a store to buy or pick up your ski shoes, it’s best to take thin ski socks and slip your foot into the boot just to make sure that the shoe is a tight fit. Advanced skiers usually get shoes a 1/2 size smaller to get a very tight and responsive fit; beginners are however recommended to buy shoes that are exactly their size, though some customers complain that when buying online, sizing can vary, and it’s always good to grab a 1/2 size or a full size higher to have reassurance. Ski shoes and ski boot sizes can be very deceiving, and there is no perfect match for every person, since every foot is different! You will definitely need to go out and try out different brands and the kinds of shoes and sizes that they offer, since the craftsmanship, heat moldable shells and boot liners in every boot are different, and sometimes that makes the biggest difference for people. Some shoes have more reinforced boot liners around the ankles and heels while some don’t, that may be comfy for some people but may distract others. There is no fit-for-all ski boot, but there are definitely plenty out there that can satisfy even the fussiest customer! If you are having trouble deciding, you can grab a ruler and measure your foot from heel to the longest toe and that will give you your general ski boot sizing. Then you can go out and customize your purchases to match your foot specifically, but the comfort will always be something you will need to experience for yourself! Many people mistakenly think that you will need to take into consideration thick woolly ski socks when you will be wearing your ski shoes that however couldn’t be further from the truth. While that might have been the case in older times, nowadays, ski shoes can easily keep your foot insulated and warm without you needing to do that for them; the liner is nice and thick and replaces the thick ski socks entirely, and that’s why it’s recommended to wear thin socks when putting on your new shoes. Wearing thin ski socks will not only keep your feet ventilated and keep them from sweating and being slippery, but it will also help improve the response of the shoes to your movements, since fewer layers will be in the way of preventing the motion. This is one of the reasons as to why more experienced skiers wear extremely thin ski socks and very tight shoes; it greatly improves the response of the skis to the movement through the shell and the reaction of the feet to the slopes. If you are a beginner, your ski shoes should fit snug, but they shouldn’t be extremely tight, either. Many beginners tend to think that they can immediately jump into buying tight shoes like the professionals wear, and then they end up getting their feet and health into trouble! Scarred, bruised and wounded feet won’t do any good to anyone no matter how experienced they think they may be, that’s why it’s recommended that beginners and intermediate riders first get accustomed to the shoes that fit snugly to their exact foot size. If you are a proficient rider you can definitely go for the very tight fit, since these are perfect for good, fast and responsive ski rides. There is also a sizing referred to as “shell sizing” within the skiing community. This will include you having to remove the liner and putting in your foot into the bare shell of the boot at hand. Then you will have to slide your foot to touch the ends of the shoe and measure the space left between your heel and the heel of the boot itself. Most people use their fingers or small objects or pieces of wood that have an already established, accurate measurement. If you have a one finger or one and a half finger fit (meaning the width of the tip of your fingers, which is usually 15 millimeters), your shoes should be good to wear and perfect on the slopes. If the space is bigger than two fingers, that usually means the shoes it too big and too loose to wear out on the slopes. It can feel a bit overwhelming to choose a good sized boot with so many measuring options, but it’s definitely worth the hustle, if in the end you will be able to spend your holidays and/or training sessions with shoes that are comfy and customized to your needs! The amount of buckles surrounding your ski shoes can look quite threatening to a beginner, but putting on your new ski shoes is just like putting on your daily shoes. All you need to do is slip your foot into the boot, buckle up, and you’ll be ready to go in no time! It’s a good idea to make sure all the belts and buckles are undone before you do so, since trying to force your foot into a fastened boot can only lead to trouble and injuries and usually also damages the product. Make sure to pull the tongue forward and towards one side as you slide your foot in so that you can get a nice, snug fit. Close the buckles at the top of the cuff first, and then make your way down. At the end, give both of your heels a kick to make sure your feet are as far into the boot as they should be! Additional care may include exchanging the boot liners and foot soles within the shoes or washing them with a dry cloth if they are dirty from mood and snow, that way you can be sure you will have your clean boots on and you will be able to safely go on the slopes, worry-free. Makes sure you’ve got a safe ski helmet – click for the full guide. Our Top Pick has to be Nordica’s ski shoes because they are some of the most affordable, best-quality boots out there. They have a lot of forefoot space and for people who have wide or high-volume feet, that is a vital feature. The 110 flex level is perfect for anyone that likes to have secure feet and also likes to be a bit more aggressive with their skiing on the slopes. The aluminum buckles are heavy-duty and will help keep your feet in place no matter how fast you are going up or down the slopes. The Triax shell that is integrated in this design has been made to take 25% weight off of the shoe. 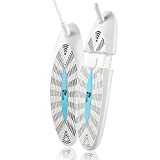 This gives you a shoe that is not bulky and very easy to walk around in (with walk mode), which is perfect for the times when you are standing around in the ticket lines or when you are going back to your hotel with the skis on your back. The NFS technology will also help with this, since the natural foot stance technology will help you maintain a natural standing position when walking and skiing. Nordica’s ski shoes are our Top pick because they have some of the best boot features that allmountain ski boots can have. The price is the best you can get and affordable for anyone that is willing to purchase a good pair of shoes for skiing and walking around and the product itself is very well crafted and designed to last. Our Premium Choice spot has to go to SCARPA’s backcountry boots, since they are the most versatile ski shoes out on the market today. You will be able to take them out on big-mountains, backcountry rides and in-bounds without an ounce of worry, since they are designed to last in that kind of environment. The Ride Power Block function that is here gives you extra power both when you are going on downhill skis and uphill. These allmountain skis are perfect for anyone that is looking for more intuitive and well controlled women or mens allmountain boots. They really are great for many types of skiing. The soles within the boot can be exchanged and the cuff range is about 27 degrees. They are solid alpine ski boots and they will allow you to effortlessly walk around the campus so that you won’t have to change your shoes when you will be walking off the slopes for the day. The black and lime design is very attractive and is great to have since it will make you easily recognizable when you’re out skiing and have friends or family around that want to locate you. SCARPA’s ski shoes are our Premium Choice simply because they offer a lot of versatility and comfort for the times when you are out on the slopes or walking around in the snow. They work best in almost any environment and look stunning, too! Our Great Value choice has to be Dalbello’s ski shoes; you can get them at a fantastic price and they are perfect for both beginner and intermediate riders. They are extremely lightweight and won’t have you drag your feet in the snow due to the bulkiness that is common with many other boot designs. You will be able to ski without any worry and strolling around the resort won’t be a problem. The especially wide boot sole is the best choice for anyone that has high-volume feet and finds it hard to find suitable shoes. The number 65 flex rating is perfect for anyone that is looking forward to improving their skiing skills out in the snowy mountains. The bi-injection technology combines two different polymers into one, which makes for flexible plastic panels and soft, inner linings while still having a hard but flexible outer shell. The cuff can easily adjust to the angle of the skier’s lower leg when they are both standing and skiing. If you buy a bad pair of allmountain boots, it can ruin a whole, well-planned trip. Having shoes that will fit you well both on the slopes and off of them is definitely something hard to come by. Some brands combine alpine ski boots and ski-touring (read the study here), while some just provide you with very comfy, insulating and breathable shoes that are sturdy and ready to endure all of the hits you put them through. We hope that you found one of your dream products here, and if not, we hope that the FAQ section helped you understand better what you would like to buy!